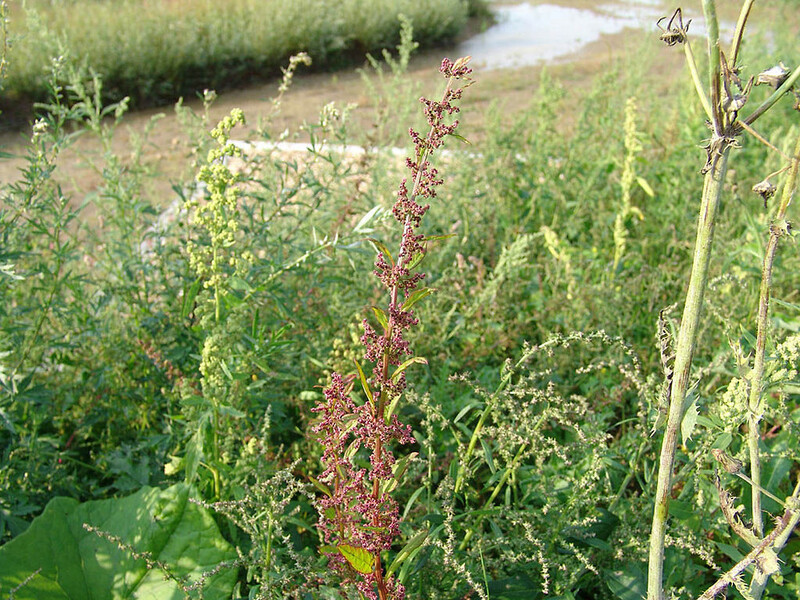 Many-seeded goosefoot, native to Europe and northern Asia, was introduced to many parts of the world, including northeastern North America. 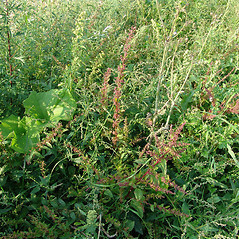 In New England it is found in Massachusetts and Maine in roadsides, gardens and other disturbed areas. In eastern Europe it is a significant weed of vegetable gardens and tilled crops. 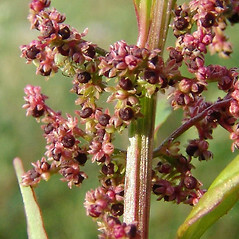 Chenopodium polyspermum L. var. 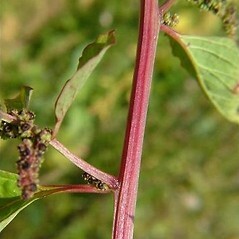 obtusifolium Gaud. 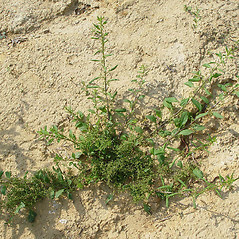 many-seeded goosefoot. 10b. 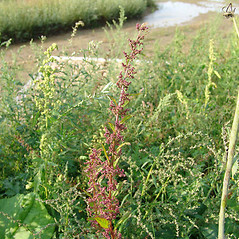 Chenopodium polyspermum L. var. 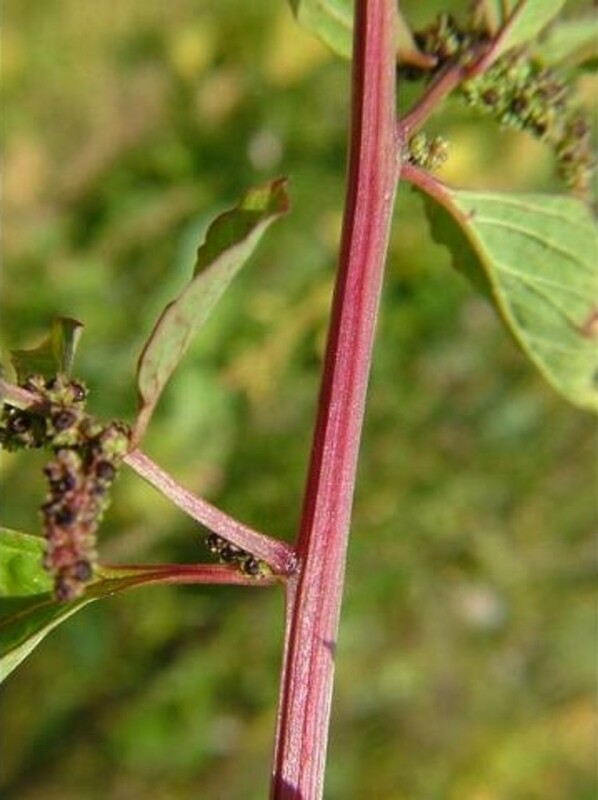 obtusifolium Gaud. • MA, ME. 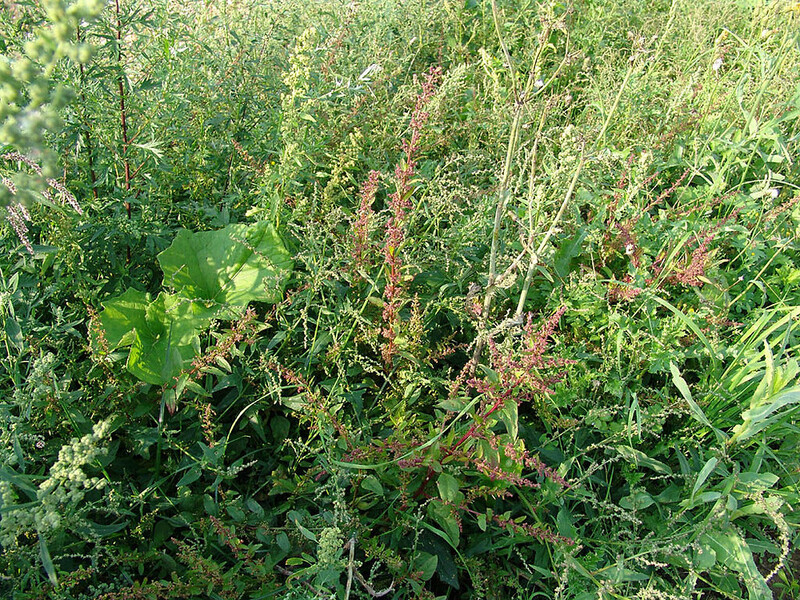 Roadsides, waste areas, gardens, disturbed soil. 1a. 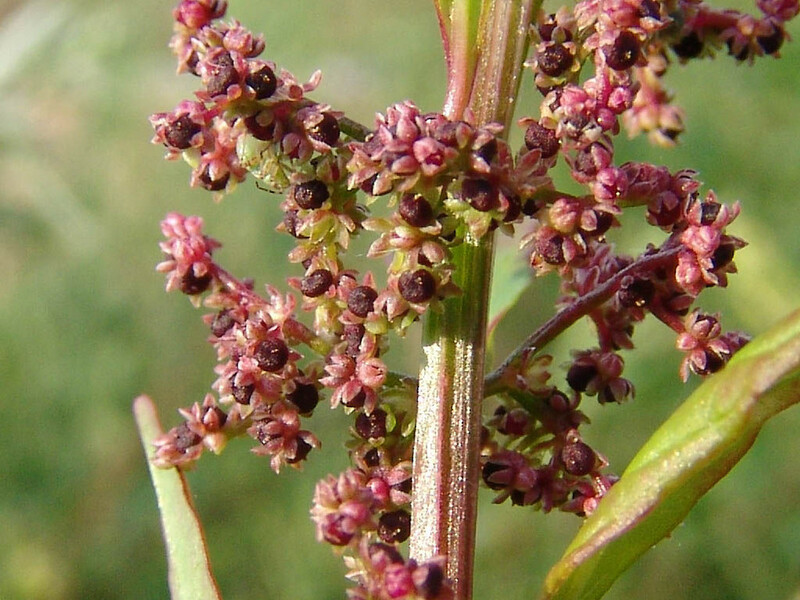 Leaf blades acute at the apex; inflorescence relatively congested, consisting of small cymes or spike-like cymes from the axils of leaves … 10a. 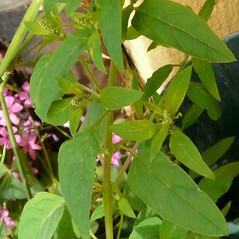 C. polyspermum var. 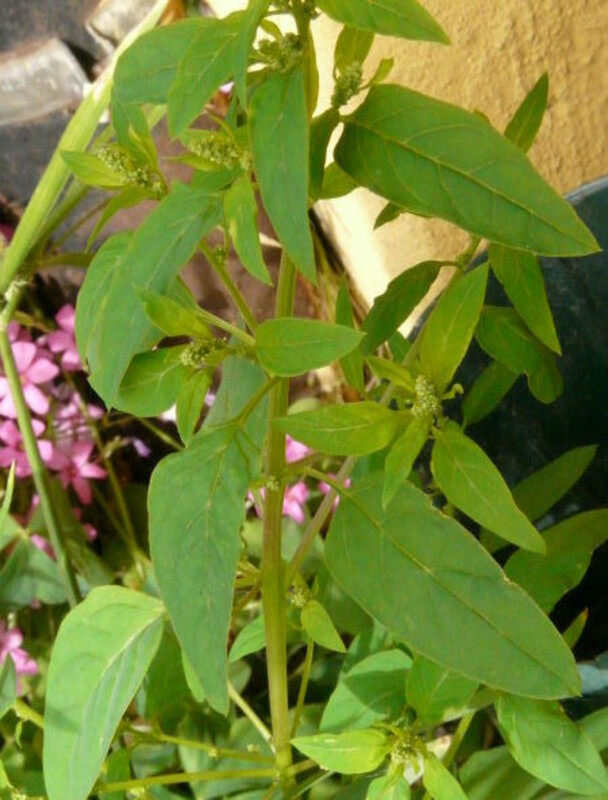 acutifolium (Sm.) Gaud. Variety acutifolium is known from MA, ME; also reported from VT by Hultén and Fries (1986), but specimens are unknown. 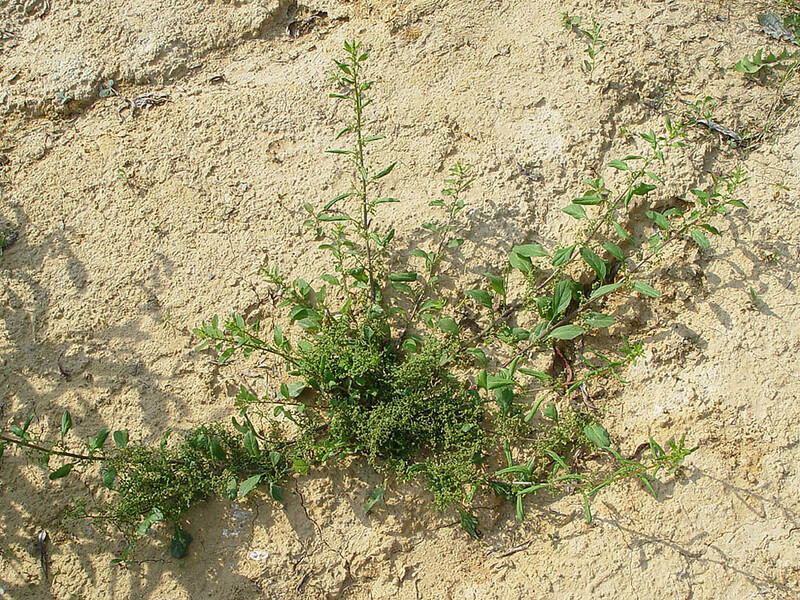 Variety polyspermum is known from MA; also reported from ME by Kartesz (1999), but specimens are unknown.